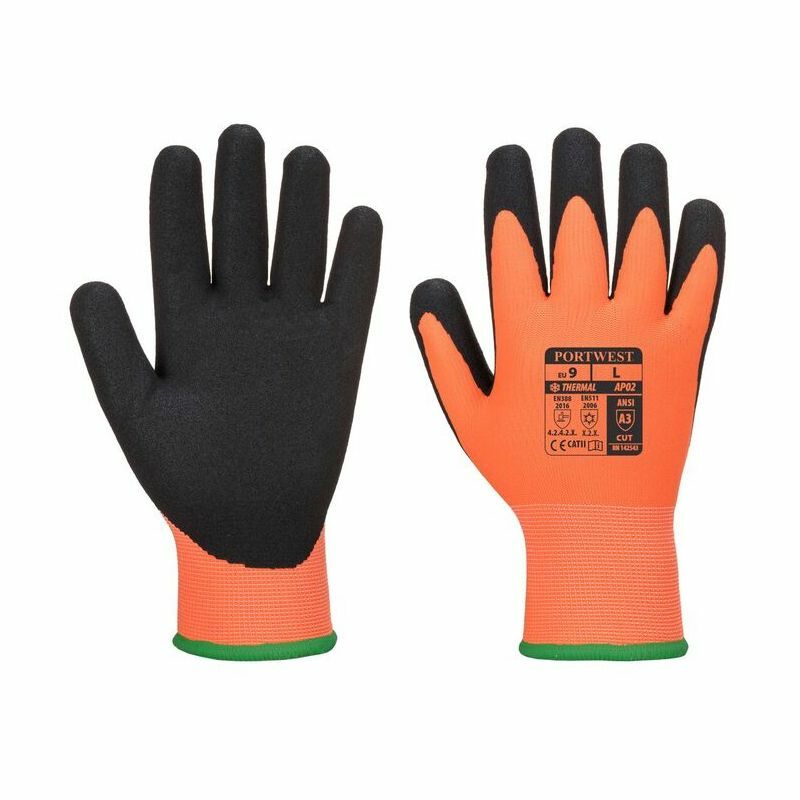 Using innovative technology, the Portwest Thermo Pro Ultra Oil-Repellent Gloves AP02 are designed to offer excellent resistance to oils and water. 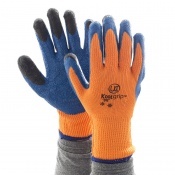 They are ideal for use in cold, wet conditions, as their thermal twin nylon layer prevents heat from escaping, ensuring warmth and comfort during extended use. The Portwest Thermo Oil-Repellent Gloves are an excellent choice for use in cold conditions as they are fitted with a specially developed twin nylon layer that prevents heat from escaping. 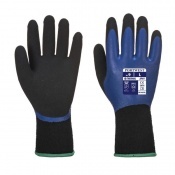 To add to this, their extra grippy, waterproof, full nitrile sandy coating makes them highly useful in wet, oily and slippery conditions.